This big old(?) 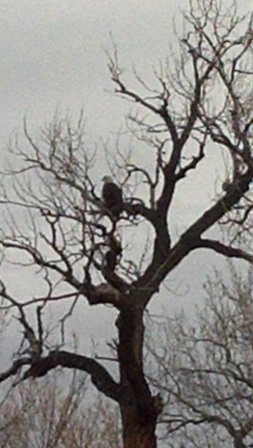 bald eagle watched morning chores today. This beauty looks a lot like a bald eagle we caught on camera a couple of years ago.